The IJOY Saber 100 is a portable and compact pen-style kit that consists a 5.5ml diamond sub-ohm tank, 100W saber and a 100 battery. It comes in five attractive colors and a sturdy form factor that makes it a great vaporizer for most vaping enthusiasts. It runs on an advanced IWEPAL chip and powered by a single 20700 or 18650 battery to produce a massive power output of up to 100 watts. You are going to find the IJOY Saber 100 very easy to use thanks to the big and bright intuitive screen. 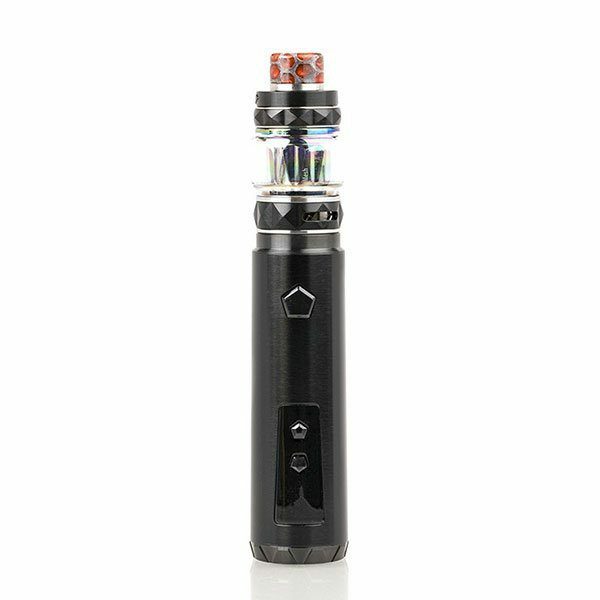 It also has a unique fire button that has a pentagonal look, which together with the custom user mode makes the user experience of the IJOY Saber 100 amazing for the user. The IJOY Saber 100 comes in ten different color schemes to make it easy for people with different tastes and preferences to find their own liking. The IJOY Saber 100 is undoubtedly on of the most extremely compact and portable pen-style kits you can find on the market. It features a CNC engraving, a personalized pentagonal fire button, a bright and big screen display, and a beautiful sub-ohm tank with a stylish diamond design among other features. A well made device with amazing practicality. Tank is unique and has sufficient capacity. Great quality. I love my iJoy Saber. The design and color combination are great. Definitely recommended.